filed by the EPFO against a Kerala High Court judgment. 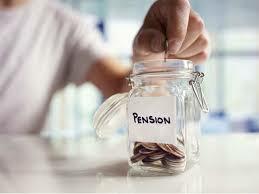 As the contributions into the EPS is capped, so is the per month pension for the employee after retirement. The maximum monthly pension would be Rs 7500, as the pensionable salary is capped at Rs 15,000 and the service period at 35 years. There has been enough of back and forth with the new rules and guidelines. Taking the legal course is nothing more than buying time in the implementation of proper rules. EPFO and the government need to come out with a long term pension framework keeping in mind the interest of the existing employees, new employees looking to join the workforce in future and also that of the retired population. Rules need to be devised based on the consultation between all the affected stakeholders and not on the ad-hoc basis that would need revisions very often. It is high time government recognises the need for a robust pension mechanism for the working class that can provide a decent base level retirement income to the retired.